I’m a qualified teacher, a Master Practitioner in Neuro-Linguistic Programming (NLP) and I’ve been a highly successful business consultant. 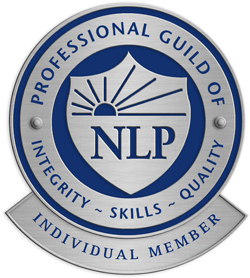 Until its unfortunate demise in 2017 I was recognised as a Practitioner by the Professional Guild of NLP and still have the right to bear their coat of arms and use the letters ‘PGNLP’ after my name. More than anything, though, I consider myself a sociopsychologist. What on earth is a ‘sociopsychologist’?, I bet you’re asking! Well, a ‘sociopsychologist’ is essentially me(! )…or someone who shares something of my approach to understanding the ‘human condition’. Deeply versed in all key forms and schools of Psychology, increasingly a sociologist by way of a long-running interest in political science and increasingly an understanding of the critical impact biology has upon behaviour, both individually and collectively. I readily acknowledge a range of ‘gurus’, both living and dead, whose work taken singularly is far more important than anything I have conceived. I have benefited particularly from extended interaction with the likes of Meta-States developer L Michael Hall, Spiral Dynamics co-developers Don Beck & Chris Cowan (together and separately), and Susan Blackmore, one of the world’s leading researchers into the concept of memes. My network of contacts includes – has included – the likes of Aaron T Beck (key founder of Cognitive Behavioural Therapy (CBT)), Steve Reicher (Aberdeen University), Alex Haslam (University of Queensland), Ryan Heavy Head (Lethbridge University) Sidney Stone Brown (Navajo Regional Behavioural Health Centre) and Joseph Trimble (Western Washington). I delight in a wide spectrum of alliances with like-minded thinkers and I search constantly for those who can expand and/or enhance my own understanding. I am thrilled that this site contains contributions from several ‘guests’, such as Don Beck, Jerry Coursen, Chris Cowan, Natasha Todorovic, Peter McNab, Alan Tonkin, Jon Twigge, Said E Dawlabani, Bjarni Snæbjörn Jónsson and Fred Krawchuk who might also be described as ‘sociopsychologists’. Visitors can read more about people who have influenced my thinking – and still continue to – at Influencers, Acknowledgements & Gratitude. In the ‘olden days’ they would have called people like me ‘wizards’ – people who made things change. People who caused people to change. Since just about everything that happens in a society – other than the weather and other ‘acts of God’ – is the result of actions (or inaction!) by people, change (for better or for worse) is to do with people. It’s been said that I can change people. I can’t, really…honest! However, I can assess someone’s readiness for change and, if that change is right for them, assist them to make the change. Also I can help people resolve issues by getting to the core factors and by looking at things from different perspectives. And since organisations are only structures containing people and their cultures, I can help assess and facilitate change and resolve issues at an organisational level too. I’m also a sociopsychological theorist in my own right, both maintaining and developing this site and having had my first book, Knowing Me, Knowing You, published in 2006 – described in one Amazon 5-star review as “the best Psychology book of the year”. Somehow I manage to fit it all in…probably because I love what I do – developing and working with sociopsychological theory to create real benefit to people. How did I come to be this ‘SocioPsychologist’…? I have been studying the behavioural sciences and their applications to ‘real life’ since my first year at university many (many!) years ago. Notably, I was involved in the early 1990s in developing and delivering sales and management courses based around William Moulton Marston’s DISC model. However, the key turning point was being trained in Spiral Dynamics to Level II by the model’s developers, Don Beck & Chris Cowan, in 1998. This, combined with my training as a Master Practitioner in NLP, my studies in CBTand teaching Psychology and Sociology to A-level (and studying way beyond! ), provides me with some of the most advanced mapping of the human condition currently available. With this mapping, it is possible to understand what motivates people to think and behave in different ways at different times and to identify what the triggers for change may be. Thus, it is possible to know what change is possible with any particular mindset (or culture or sub-culture) and to facilitate that change within natural potentials. Additionally, NLP provides a number of powerful ‘therapy tools’ with which it is possible to assist people through deep cognitive and emotional blockages to change. CBT is highly useful in embedding new and more positive ways of thinking. Additionally, Behavioural measures are often critical to deal with issues arising from an individual’s temperament – though it is possible to have a ‘conditioning effect’ on a group or even mass basis. As indicated, many of the models and tools described on this site can also be used at an organisational level or cultural level – eg: see the use of the Neurological Levels model in looking at development options for a commercial company in A Company by Neurological Levels or the use of the Gravesian approach in considering improvement options for a local government department in North Lincolnshire CIT. Often the optimal way to approach things at an organisational or cultural level is to structure a MeshWORK – Don Beck’s concept for the macro application of what he terms Spiral Dynamics integral – and to use the powerful analytical tool of 4Q/8L. Clearly, though, a MeshWORK can be far bigger than an organisation – applying to a region, a country or potentially even a continent! What have I done/what do I offer/who do I work with? A qualified teacher, with nearly 40 years experience in business and industry, I went into management consultancy & training at the end of the 1980s. In addition to winning the then-Department of Trade & Industry’s highest commendation for business planning in the early-mid-1990s, I assisted 24 organisations to achieve Investors in People recognition and another 5 to achieve ISO 9000. However, my interests have moved increasingly onto ‘sociopsychological’ issues over the past 17 years. After all, even successful Quality Management depends on people’s attitudes! At the beginning of 2001, encouraged by some teachers I had introduced to the Gravesian approach and NLP, I returned part-time to teaching to learn for myself what the key issues were in modern-day education. This has enabled me to map what in Gravesian and Neurological Levels terms is going on in classrooms and to work on some solutions. A Spiral analysis of many of the behaviour problems besetting Britain’s classrooms is offered in the world-renowned schematic, A Downward Spiral…. When the chance came to teach (on a part-time basis) first Psychology and then Sociology to A-level, it was a wonderful opportunity not only to expand and deepen my own knowledge and understanding but to help cultivate a new generation of psychologists, sociologists – and possibly even ‘sociopsychologists’! I found I enjoyed teaching A-Level so much that I added private tuition and online tuition to my portfolio of Services. In fact, the tuition has been so successful and the demand for it so great that I gave up classroom teaching to enable me to meet that demand and still have sufficient time for my other interests. From sociopsychological perspectives, I have worked in the past with organisations in the public, private and voluntary sectors where what I call ‘the Integrated approach’ added that extra depth of insight that lesser, partial approaches can only hint at. While I no longer promote myself as a business/management consultant, I am always open to possibilities of doing that kind of work again. Amongst the Services pages, there are also several case studies of my work with different types of organisations. Although I usually work under my own name, I do subcontract where appropriate and in the past have worked for the likes of Hidden Resources, Cobus Business Services Ltd, Summit Consulting and David Burnby & Associates. Although my association with the Centre for Human Emergence UK has loosened considerably since my involvement in its founding – see ‘Britishness’ at the Regents College Summit and From Rule Britannia to Cool Britannia to Integral Britannia – CHE-UK remains an important concept for me in disseminating ideas (memes!) about how our kingdom can develop positively, manage its problems and contribute to the sustainable growth of our world. For a more detailed overview of my career, visit the Career pages. I also carry out one-to-one personal therapy. This may occur as part of a management mentoring session – or it may be arranged as a private consultation with the client. I also provide therapeutic advice on relationship problems for couples and individuals. A slightly more limited range of issues can be tackled via online counselling. Again there are a number of case studies to demonstrate how I work and what I can do. Periodically I run Integrated SocioPsychology workshop programmes introducing people to the Gravesian appoach, related NLP models such as Meta States and other key sociopsychological concepts such as Reciprocal Determinism. Visit the Training pages to learn more about these workshops. The News page includes such workshops and other ‘open’ events (various training programmes, speaking engagements, etc) which are hosted by myself or in collaboration with others. So, from perusing this site, if you think having your need or desire met may be within my competencies, please do get in touch via the Contact page.